Teaching a new driver can be challenging; with these tips, helping new drivers get their license is a breeze. Watch the video! Hi there smart drivers. Rick with Smart Drive Test talking to you today about mentoring a new driver. In other words, helping a new driver to pass his or her road test. And what you're going to be doing is not teaching them how to drive. Rather the skills, knowledge, and abilities that are needed by a new driver to pass a road test are somewhat different than what it is for learning how to drive. And actually they'll learn how to drive after they get their license. So give them some room for that - let them practice the skills and knowledge that they need for the purposes of a road test. I'll give you an example of that. Some years ago when I was a truck driver I had a mate of mine who wanted to become a truck driver. And I was a truck driver at the time and I said, "well I can help you do that. I just rented a truck- I never went to driving school." So he went and rented a truck at considerable expense to him. We spent the weekend training. I thought he was more or less ready for the road test because, you know, he was fairly good at shifting and could get the vehicle up and down the road and whatnot. Unfortunately at that time in Ontario, Canada when you made a left-hand turn, you had to turn into the left-hand lane. Authorities have dispensed with that since this time because they figured out that getting a big 75-foot vehicle around a left-hand turn, into the left hand lane is somewhat complicated. And it's just easier to get the vehicle over the right-hand lane because you've got to get over there anyway and therefore you're not an impediment to other traffic. Anyway, he failed on that point and I felt pretty bad about it because he'd spent fair bit of money and a fair bit of time and energy trying to get his license. But the reality was, at that juncture in my life, I was a truck driver, I wasn't a driving instructor. And new students going for a road test, regardless of class, there's a very specific skillset that they need in order to pass that road test. And actually, since the 1990s, that road test has become even more complicated with the graduated licensing program. So what I'm going to do today is going to talk to you about that and we'll talk to you about the biggest skill that you're going to teach new drivers. And I'll reveal that at the end of the video. Stick around, we'll be right back with that information. Hi there smart drivers, welcome back. Rick with Smart Drive Test talking to you today about mentoring a new driver for the purposes of helping him her prepare for a road test and to learn how to drive. Now just before we get started there are two free guides over my website. One of them is "Learning to Drive: A Guide for Mentors." It will give you a description of the task that you're taking on and give you some things that you can consider and places that you can find information and learn about the task that you are, in fact, taking on. As well, over there is "Tuning Up for New Drivers." It's the manual put out by the Insurance Corporation of British Columbia. It's the authority responsible for licensing here in the province of British Columbia, Canada. Both of those are free, both those can be found here on my website. Check down in the description box there and you can find the link. Head over there, sign up for my email and I will send you those two manuals for free to help you with the task of mentoring a new driver in his or her preparation for a road test and learning how to drive. I would like to thank all the family members, and all the friends who volunteered to help a new driver prepare for his or her license. It's a commitment of time and it's also a commitment to learning, because you're going to have to learn some new skills to help them out to prepare for the purposes of passing a road test. You are not teaching them how to drive! If you can get rid of that idea in your head, it's going to be a lot easier and a lot less frustrating for you when they're driving the speed limit and the traffic flow is tearing past you or they're going into the lane and turning and being cautious because they need to do all this stuff to prepare for the road test. So just know that, that helping them to prepare for a road test is going to be a little bit different than what you might expect initially. 2) and the novice stage. And the parts you're going to be involved in is the learner stage. Because in the learner stage, which is usually a year, they have to be accompanied by an experienced driver. Usually that a accompanying driver has to be 25 years or older and have to 2 to 5 years of driving experience before they can accompany a learning driver. As well, the learning driver has other restrictions as well. No blood alcohol in their system. They cannot use electronic devices in the vehicle, either handheld or hands-free. As well, passengers in the vehicle are often restricted to one other person, other than the accompanying driver. And that passenger in the vehicle has to be immediate family: mom, dad, a sibling or grandparents. It cannot be anybody outside of that immediate family. As well, new drivers are restricted to when they can drive. It's usually only during the day. Most new drivers cannot drive between midnight and 5am. And finally, in some places, I know in Ontario, Canada they cannot drive on major highways unless they're accompanied by an actual licensed driving instructor. So the 401, the 403, the QEW (Queen Elizabeth Highway). In Ontario, they cannot drive on those and some of the US states will be the same. that new drivers cannot drive on the interstates unless accompanied by an actual licensed driving instructor. So that's the GLP program, and that's what you're up against. Now let me just talk a little bit about social driving because I talked a fair bit about social driving and what I call social driving, is after you get your license - within three months, most of us are all doing social driving. And some of the traits of social driving: not stopping at stop signs. We come to a what we call a rolling stop, which is actually, we never actually stop at the stop sign. We don't stop at the correct position at stop signs and actually there's three stopping positions at a STOP signed intersections and they're not at the sign itself. That has nothing to do with that. There's a video here on the channel - check that out for correct stopping position at a STOP signed intersection. New drivers have to drive the posted speed limit or the traffic flow, whichever is less. And we know that as people who drive all the time, we do not drive the posted speed limit. We know that there's a tolerance within how fast you can drive on the road. So most of us are driving five or ten kilometers an hour above the posted speed limit or five or ten miles per hour above the posted speed limit. So know that as a new driver they have to drive the posted speed limit. And when they go around the corner a multi-lane roads, they have to stay in the lane. So if they're in the right hand lane, they have to stay in the right-hand lane - they can't deviate into that left hand lane. If you drift over to the other lane for the purposes of road test, you are going to lose major points. Driving over painted islands - you can't drive over painted islands for the purposes of road test; however, as social drivers we all do it. We stop too close to traffic in front of us on a road test. You can't do that on a road test. When you're stopped in traffic you have to stop so that you can see the tires of the vehicle in front of you making clear contact with the pavement. These are just some of the hallmarks of social driving. For the purposes of a road test all of the rules have to be obeyed. The new driver has to drive the posted speed limit; they have to stop completely at STOP signed intersections; they have to stop at the right place; when they make a right hand turn, they have to move from the right-hand lane into the other right-hand lane completely, and have the vehicle straighten out. You signal, shoulder check and move to the other lane. For the purpose of the road test there's four major components: speed and space management; and observation and communication with other traffic. And those can be open to some degree of discretion on the part of the driving examiner. So when you're working with the new driver and hopefully they've done some driving lessons, because it always helps to do some driving lessons. And that way they can get some information from people who teach new people how to drive and pass a road test all the time. That's what driving instructors do for a living. 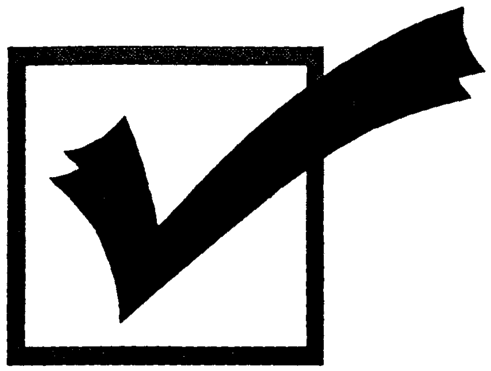 When you volunteer to help somebody learn how to drive to practice for the purposes of the road test, you need to budget in extra time and oftentimes your are going to have to budget in thirty to fifty percent more time. As experienced drivers--those of us who have a fair bit of experience driving--we're just going to jump in our vehicle and go somewhere. And we're really not going to give it a lot of thought because we have so much experience driving. We know the vehicle, we know where we're going, we know the roads, those types of things. For new drivers, you're going to have to budget time in for them to learn and budget in time to teach them. Because there needs to be time for that as well. Because that is now part and parcel of their driving. You can't just rush them, because if you rush them they're going to get flustered and when they get flustered they're going to make mistakes that potentially could risk a crash. So build in time for the learning process and build in time for teaching. And as well, if they're in a different vehicle than what they usually are when they're driving, you're going to have to build in time for them to get accustomed that new vehicle as well. Now just think of any time that you're learning a new skill - it's broken down into its component parts. And for new drivers there's a lot going on, and when you get to complex intersections, the level of multitasking is incredible, especially for a new driver. And they're trying to figure out where they need to stop, where they need to position the vehicle, and trying to determine the gap. They're trying to determine when it's safe to go. So there's a lot of stuff going on. So when you're making left-hand turns try not to make comments to them because they're not listening to you. They're focused, they're zoned in on what they're doing, so you need to give room and space for them to learn and for them to concentrate. So what is your job? First of all, you need to budget time. There needs to be time for learning, their needs to be time for teaching, and know that you're going to need thirty to fifty percent more time for teaching and learning. The other thing you need to do is, if that the student goes around the corner too fast, don't just simply say to them, "slow down!" Because the student has no concept of how to slow down - you need to get them specific information about how to do things. For example, if they're going around on a right-hand turn, you need to tell them to travel at 10 to 15 kilometers an hour or 8 to 12 miles per hour to go around on the right-hand turn. When you give them specifics like that, it's a lot easier for them to learn the skills and actually get the vehicle to the appropriate speed to go around the corner. On left-hand turns, they can do anywhere from 15 to 25 kilometers an hour depending on how big the intersection, which is approximately 10 to 20 miles per hour for those of you in the United States. So that's the other thing that you need to do. So for those of you mentoring a new driver, there maybe some learning on your part in order to help the new driver prepare for their test. And the final skill that you need to teach a new driver practicing for a road test is self-confidence. You need to boost their self-confidence. It's hard when somebody is examining what you're doing and their skill level is not high. They're new to the vehicle, they're new to the whole thing, and there's so much going on. There's so much pressure on new drivers to get a license, that you need to help them with their self-confidence and help them build that and help them how to learn. And I will just really encourage you to never ever lose your cool and start yelling at your son or daughter or your spouse because that just completely undermines their self-confidence. And it takes so much time to get that back. And that's why if I feel that a student is not ready to pass a road test, regardless of class, I will not send them on a road test. Because it's better to do two or three more lessons to get them up to where they need to be to pass a road test and have a really good chance of passing a road test, rather than send them for road test. Because all you're doing is, you're spending the next three or four lessons trying to rebuild their self-confidence. Remain Calm...whatever happens, remain calm! So I implore upon you - please, please, no matter what goes wrong - try and remain calm and don't yell. I know that sometimes it can be--you know--you're grabbing onto that "Ohhhhh crap" handle there on your side of the vehicle, but please do not lose your cool. If you feel like you're going to lose your cool, just get them to pull over, stop, go for a walk, smoke cigarette, get a cup of coffee. Do something - take a break, but please don't yell at them in the vehicle because it's compounded in the vehicle. You're this far away from that person sitting right there beside you and when you lose your cool it just exacerbates the whole situation. And coming back and rebuilding that self-confidence for a new driver is really hard. One last point that I'd like to make for new drivers and their mentors - give new drivers as much exposure as you can. Don't just let them drive the convenience store, to the grocery store and back and again every now and again. They need to have as much exposure to driving as they possibly can. What I repeat again and again and again: practice, practice, practice. And the more exposure they get to driving in bad weather, heavy traffic, moderate traffic, light traffic, turning at complex intersections, driving in fog, driving at night, driving on freeways! The more experience a new drivers gets, the better drivers they are going to be overall. And the faster they're going to learn, because I have a strong professional theory that the reason that new drivers are at such high risk of being involved in crash is because they do not have a hazard perception ability. 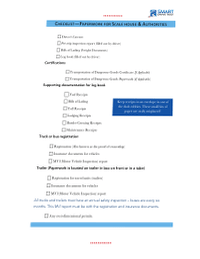 The hazard perception--your ability to detect hazards and know that something is going to be dangerous on the roadway-- comes from experience. And we only get that by driving. For example, students going past buses, urban transit buses, for example, they have to move out into the other lane to get around the bus because it stopped at a bus stop. And there's a bicycle coming from the other direction and there's a car coming as well. The car has to get around the bicycle and it's going to deviate over into your path. A lot of new drivers are not going to recognize that dynamic situation as being dangerous because they've probably passed the bus before-- sometimes previously--and nothing ever happened or that bicycle wasn't there that was going to force the oncoming traffic to move over closer to their side of the roadway. So hazard perception-- they need as much experience to build their hazard perception lexicon--for lack of a better word--this dictionary of things that potentially could change in the driving environment that are going to potentially cause a dangerous situations. Because many times the situation is going to be innocuous, it's going to be completely harmless and in another situation, with different traffic, and different road users on the road, it can be dangerous. Those things are constantly in flux for new drivers and the more exposure that you can get them to those different aspects of driving the better drivers are going to be. So give new drivers as much opportunity to drive and as much exposure to different driving environments that you possibly can because in the long run you're going to help them out and help them to become better drivers. 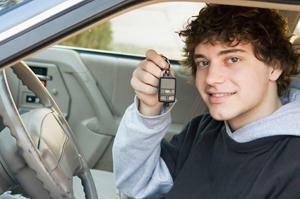 have you mentored a new driver in his or her preparation for a road test and learning how to drive? 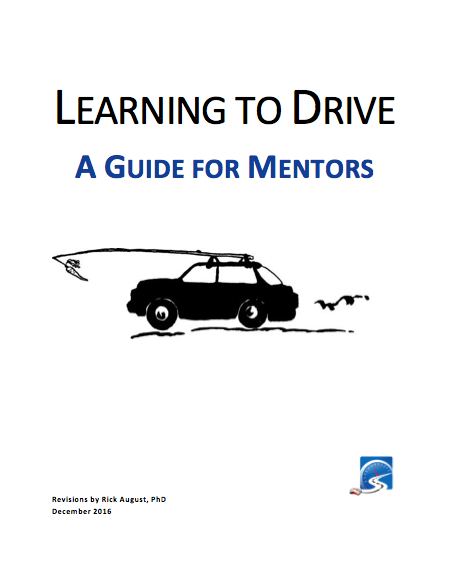 What was the most challenging aspect of mentoring a new driver? Leave a comment down in the comment section there. All of that helps out the new mentors and new drivers who are preparing for a road test. As well be sure to head over to my website and sign up for my email and get your free guide on mentoring a new drivers. Lots of great information in there and some driving instruction techniques that you can implement to help the new driver learn how to drive and prepare for a road test. As well, the manual put out by ICBC--the insurance Corporation of British Columbia--is also available. It's a step-by-step manual of the techniques, skills, and knowledge that a new driver has to have in preparation for passing a road test. Both of those are available on my website and both of them are free and you can find the link down in the description box there. I'm Rick with Smart Drive Test. Thanks very much for watching. If you like what you see here share, subscribe, leave a comment down in the comment section. As well, hit that thumbs up button. If you're working towards a license or starting a career as a truck or bus driver check out all the videos here on the channel - lots of great information here. As well, head over website for more great information over there and online courses that you can purchase. Thanks again for watching. Good luck on your road test. And remember, pick the best answer not necessarily the right answer. have a great day. Bye now. Have a great day. Bye now. [BLOOPER] I did it woooohooooo [JUMPING AND CELEBRATING] I did it! I finally got it. Take 472,685 - wooohooo done!